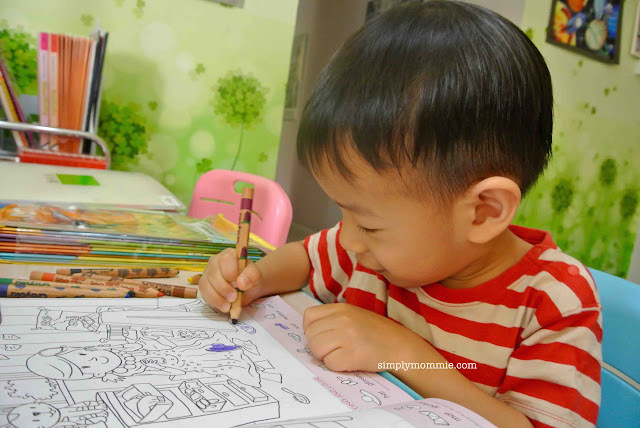 I’ve sat on this post for the longest time now because we were settling into Primary school in the earlier half of the year (here’s how we settled into our routine). 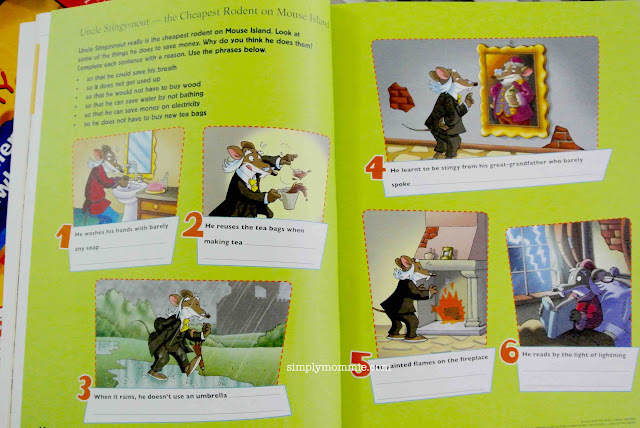 Do you have a Geronimo Stilton fan at home? Well, regardless whether your children have been acquainted with Geronimo Stilton books, I think this series of books – which are actually Comprehension books – would intrigue them! Geronimo Stilton Academy builds on children’s interests in best-selling children’s book series, Geronimo Stilton. It doesn’t matter that children have not read the books or do not know Geronimo Stilton at all as each 4-page unit starts with an excerpt. I like the books because the questions aren’t the ordinary run-of-the-mill straightforward question type so if you’re looking for something more challenging, yet appealing to children, this is the series for you and your child. Comprehension and Vocabulary Pawbooks are available now (3 levels each). Grammar and Literacy Skills Pawbook will be made available end of this year to early next year (also a 3-book series). Now for the book recommendation for the preschoolers! Sam and Sally are hidden picture puzzle books. They help to develop spatial intelligence and learn vocabulary in context. The books also build thinking and speaking skills through thoughtful questions in each puzzle. I like that the puzzles are challenging enough because not all hidden items are made obvious (normal orientation). Some are hidden (normal orientation), while there are others which differ in size (bigger/smaller) or rotated (left/right). There are currently 3 titles (At Home/ Go to School/ Out and About) in the market now and you can expect 6 more titles in the last quarter of 2015. The look on my little boy’s face when he spots an item is priceless! 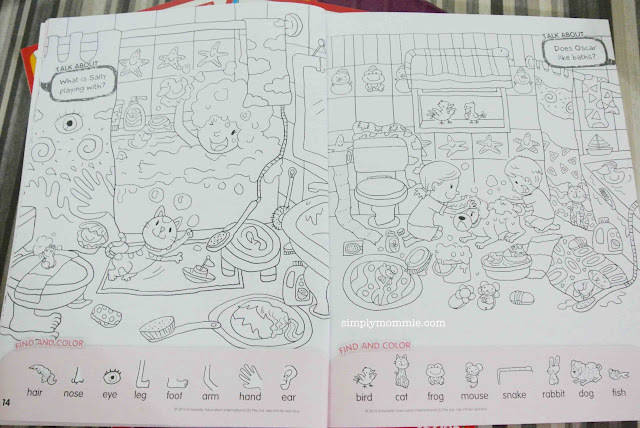 He’s not always so willing to colour the items though – more often than not he’d ask me to help him out with the colouring while he continues to spot the hidden objects. Now here’s the good news for my readers. You can win by simply leaving a comment on this blog post and remembering to click ‘I Commented’ in the Rafflecopter widget to qualify. The rest of the options are optional, but would render you more chances to win! They can be found at all POPULAR bookstores. Geronimo Stilton Academy can also be found at selected TIMES bookstores. Disclosure: I was gifted with the books. No monetary compensation was received. All opinions expressed are mine. This entry was posted in Books, Giveaways, Homeschooling, Reviews, Teaching English. Bookmark the permalink. It is very good collection of books for my kids. Able to develop their interest and attention as it provides a range of different selection of books. I hope to get my kids to expose in this comprehensive range of books to develop in their love for books. I would like to win the 6 to 8 yrs book for my son. they hv gain alot of knowledge from books i must admit..
My four year old is doing letterland phonics activity books, tying in with his phonics classes in the daycare. Hope to win the 4-6 yrs old set for him. My boys (age 5 & 7) love the Geronimo Stilton stories! I believed it will interest them to do some hands-on table to improve their command of English language! Hope to win for my boys! I would love these books for my 5yo to cultivate his love of reading and learning. 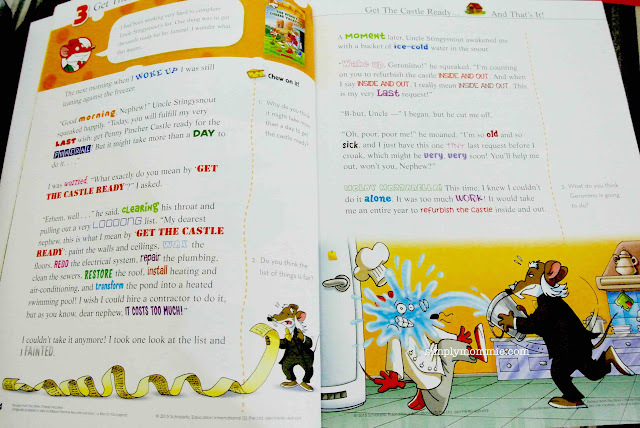 I would prefer to have the Geronimo Stilton activity books as it helps to teach comprehension in a interesting way. 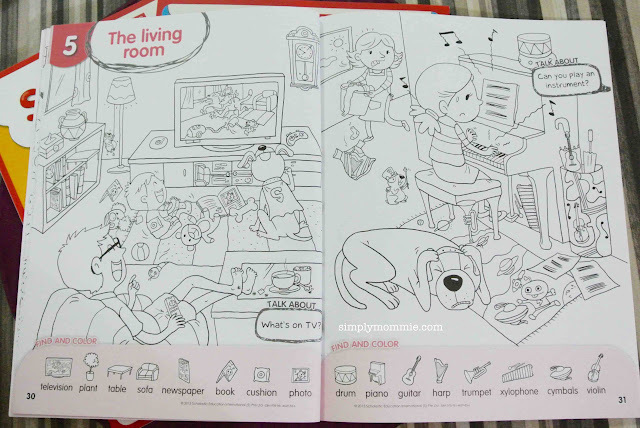 Their favorite activity books now are those will cartoon characters inside the books. 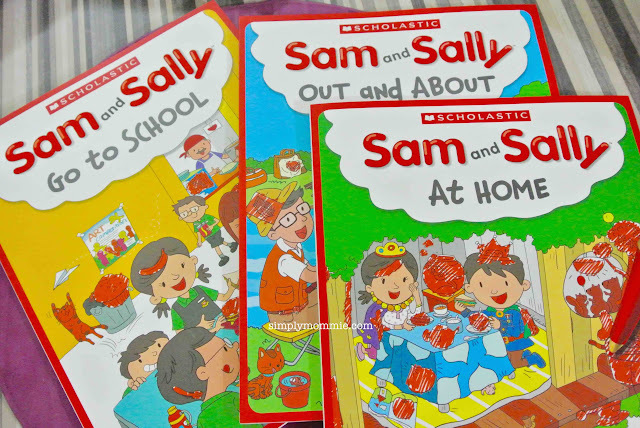 My 4yo loves books that involve finding things so she will love the Sam and Sally series! Her favorite is the lonely planet amazing places book. 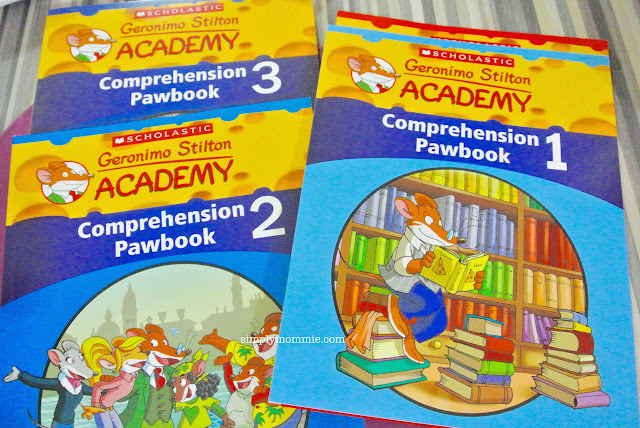 Keen to have the Geronimo Stilton Academy books. 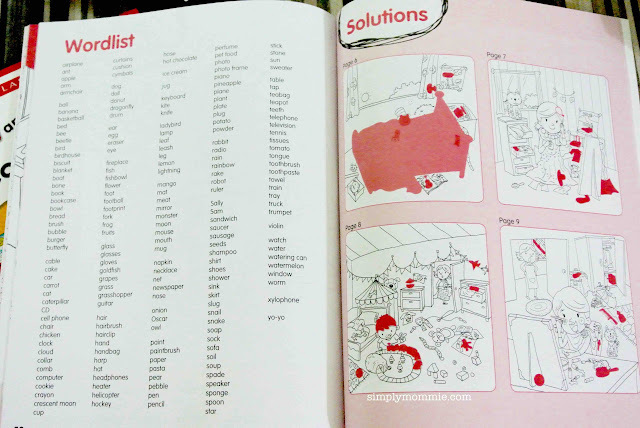 Keen to have the Geronimo Stilton Academy books for my P3 girl even though the books are recommended for 6-8. Hope to help her in her comprehension. I usually print out biblical activities like crossword puzzles, word search for her to do. To win them for my son. My six-year-old is not really into activity books. But since he is going to be in P1 next year, I hope to win the 6-8 yr old set for him, to complement the Geronimo Stilton books I have bought for him in an attempt to get him to read longer chapter books. Thanks! I hope to win the of Geronimo Stilton Academy books for my girl as her teacher ask her to work on her comprehension. She doesn’t has any favourite activity work. 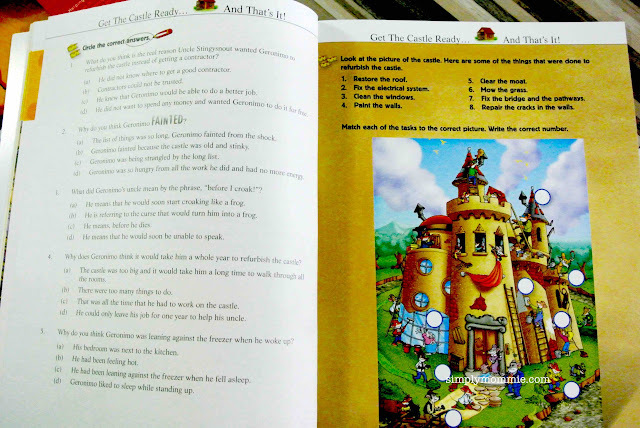 I would like to win the Geronimo Stilton Academy Books for my 7 years old son & 8 years old daughter. They love reading books since young, this set would definitely interest them than e normal practice books we have! I would like sam and sally for my girl. She is colouring on the EPH activity books that I have bought her. I have 2 girls in both age groups so either set will do! Currently they don’t have activity books other than those used in school. Either set is fine for my girls of 5 and 6 yo as these books helps to improve their reading and thinking. Currently they are still exploring hence no favourite activity books. I would love to have the preschool set for my 4yo. Currently she enjoys activity books like sticker books, spot the difference, counting and writing, not from any specific publisher or series. Just whatever I can get at a sale!